Early in their no-limit hold ’em careers, many players are overly concerned with protecting their hands. 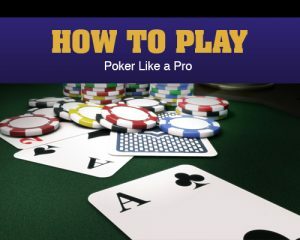 Novice players with top pair commonly obsess over the possibility of a flush draw and often become so single-minded about “charging the draw” that they fail to get value from second-best hands and/or to protect the remainder of their stacks from sets and the like. After making this mistake for a while, players eventually learn their lesson. Many overcorrect and adopt a new mantra: only bet if you can get a call from a worse hand or a fold from a better one. In other words, many players learn to bet only as either a value bet or as a bluff, leaving behind the concept of protection that cost them so many buy-ins when misapplied. Yet this too is a mistake. Weak players often misapply the concept with expensive consequences, but that does not make the concept itself invalid. Even in no-limit hold ’em, there are situations where betting for protection is appropriate, even if the bet will not get calls from worse hands or folds from better hands. The central consideration is whether the turn and river action is more likely to favor you or your opponent. If your hand is vulnerable, your opponents are unlikely to bluff, or it would be difficult for someone to turn a second-best hand, then it is often worth betting simply to take down the pot and avoid giving a free card. You are playing a 6-handed $.50/$1 NLHE game with $100 stacks. You open to $3.50 with A [diamond] K [spade] in middle position, and both blinds call. Your read is that they both play too loosely and are generally weak players who don’t put a lot of thought into their game. The flop comes Q [club] 8 [spade] 4 [diamond]. Your opponents check. Do you bet? You probably shouldn’t, even though hands worse than yours are unlikely to call, and better hands are unlikely to fold. Admittedly, there is some chance that 22 or 33 will fold, and some chance that JT or T9 will call, but that is just icing on the cake. The real reason to bet is that you will probably take it down often enough to show an immediate profit, whereas no obvious good will come from checking. Players who are too loose pre-flop and too straight-forward post-flop are the best targets for a continuation bet. They simply give up too easily when they miss the flop, which happens often give the wide, weak ranges with which they call pre-flop. If each of these players fold approximately 2/3 of his range to a flop bet, then betting will win the pot immediately about 45% of the time. A bet of 2/3 pot needs to win 40% of the time to break-even, so such a bet would show a profit even ignoring the equity that AK has when called. This establishes that betting is profitable.